The itchy, red rashes of eczema can seriously disrupt your physical comfort, self-esteem, and entire lifestyle. 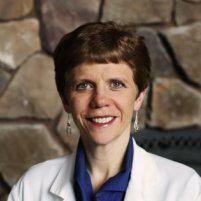 Dermatologist Dawn S. Allison, MD treats eczema at her practice in Bend, Oregon. If you suffer from eczema, find help by calling Allison Dermatology & Skin Care Center or book an appointment online today. What is eczema and what does it look like? Eczema, also called dermatitis, causes breakouts of dry, red, itchy rashes to appear on your skin. It’s important not to scratch these rashes since doing so inflames and aggravates them. Eczema is a chronic skin condition that’s very common for children under age five. Although this disease continues throughout your entire life, it’s possible to experience short periods of eczema flare-ups with years of clear skin in between. Eczema isn’t contagious, and the exact cause remains unknown. Experts believe eczema may be related to an overactive immune response to a particular irritant. Many people with eczema also have a family history of allergies or asthma. How does a dermatologist treat eczema? First, Dr. Allison performs a physical exam. During this time she visually checks your skin and asks questions about your medical history. She may be able to diagnose eczema by looking at the rash. If not, she may need to biopsy the area to ensure it’s not a more severe skin condition. After diagnosing your eczema, Dr. Allison discusses your treatment options. Eczema rashes are notoriously challenging to treat. Although no cure exists for eczema, you can still maintain a normal life by managing the symptoms. If you or your child is suffering the itchy, red rashes of eczema, call Allison Dermatology & Skin Cancer Center or book an appointment online today.